This past weekend, in Quebec, Canada, on HBO, WBO middleweight champion Billy Joe Saunders easily outpointed former champion and hometown favorite David Lemieux over 12 rounds. It was a classic performance that not only stamped Saunders’ worth as a prizefighter, but also his status as one of the top fighters coming out of the United Kingdom. In town to support his fellow countryman was Saunder’s friend and former heavyweight champion Tyson Fury. No matter where he goes, Fury always draws a mob of attention, due to his stature in person and in the sport. Fury hasn’t boxed as a professional for over two years, but his name rings bells as a possible opponent for current WBA/IBF champion Anthony Joshua. “It would be the biggest fight in British boxing history,” Fury recently said, as noted in an article via The Sun. Fury, 29, still has his concerns as to whether he will ever face Joshua, 28. There is often confusion and bantering at the negotiating table when it comes to the heavyweights, and Fury harkens back to a past potential fight that never got made. “We saw this once before with Lennox Lewis and Riddick Bowe,” said Fury. “Let’s hope it doesn’t go down that road and let’s hope they sign the contract and get the fight on. Joshua’s promoter Eddie Hearn is regarded as one of the top promoters in the sport, yet Fury doesn’t see an interest in signing with Matchroom anytime soon. Joshua has been on a roll since Fury has been sidelined. He’s notched notable wins over the likes of Dillian Whyte, Charles Martin and Wladimir Klitschko, winning the IBF, WBA and IBO heavyweight titles along the way. But “The Gypsy King” isn’t too impressed. It may sound as if Fury, always vocal, is hating a bit, but he insists he’s not. Brash words from Fury, but he seems to really believe he has Joshua’s style figured out. 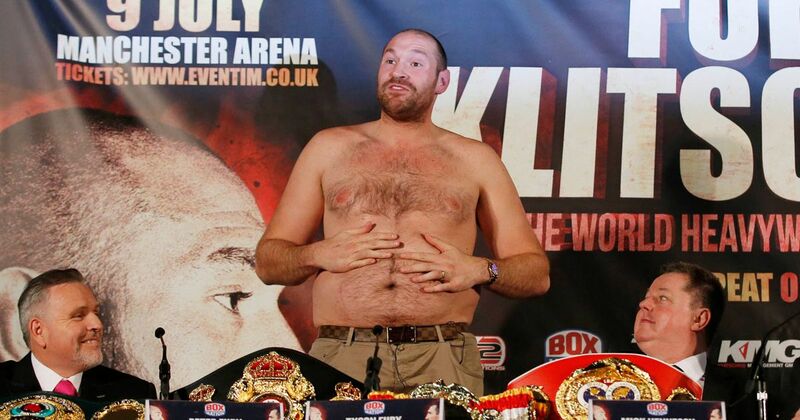 Let’s hope we see Fury back in the ring soon.